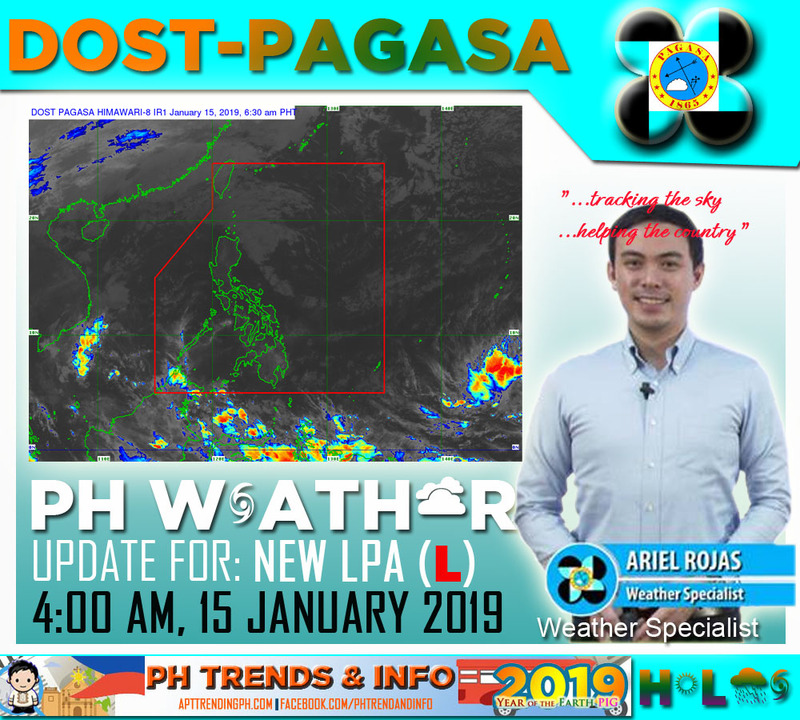 Home PAGASA DOST-PAGASA Weather Update for New LPA as of 4:00 AM 15 January 2019. 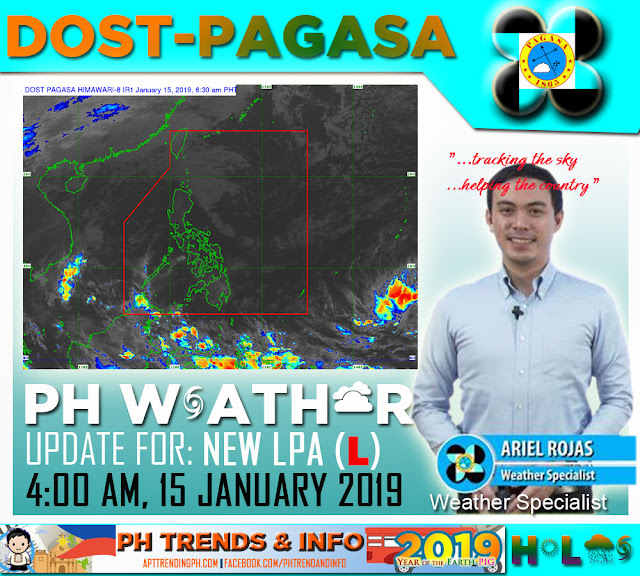 DOST-PAGASA Weather Update for New LPA as of 4:00 AM 15 January 2019. Details: The LPA is located at distance of 2,885 km East Southeast of Mindanao. (*3AM). The LPA is expected to enter PAR by Friday. If the LPA enters PAR and became a Tropical Depression, it'll be named as "AMANG", the first name in the typhoon calendar for the year 2019. Cagayan Valley and Aurora will experience Cloudy skies with light rains due to Northeast Monsoon. No Significant impact. Visayas, Metro Manila and the rest of Luzon will experience Partly cloudy to cloudy skies with isolated light rains due to Northeast Monsoon. No significant impact. Mindanao will experience Partly cloudy to cloudy skies with isolated light rainshowers due to Localized Thunderstorm. Possible flash floods during severe thunderstorms.